The self catering accommodation comprises of three bedrooms ( a triple , a double and a single ) , a kitchen, a lounge and a bathroom. All recently converted and furnished with help from the rural regeneration fund. 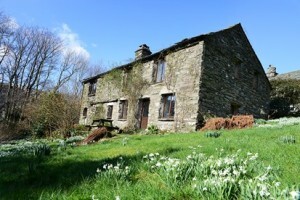 This property is the ideal base for those planning trips into the Wasdale fells. With views over the Wasdale fells, this holiday cottage is ideal for walkers looking to take advantage of the hundreds of walks that go right from its front door. 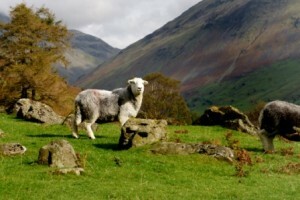 Footpaths lead from the farm up Scafell and Great Gable, or you can walk over the fells to the Eskdale valley. You are very welcome to bring dogs. 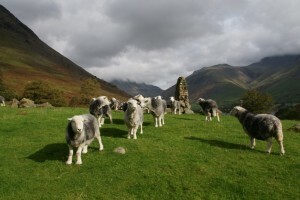 Wasdale itself is a valley of extremes. It boasts England’s deepest lake (Wastwater), highest mountain (Scafell), smallest church (St Olaf’s) and the world’s biggest liar competition (each November, in the Santon Bridge Inn). Hidden at the head of the beautiful Tilberthwaite valley, one mile from the main road, Tilberthwaite Farm Cottage enjoys magnificent views across the fells. Part of an 18th century farmhouse, this clematis-clad cottage was once owned by Beatrix Potter. 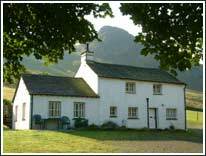 17th Century cottage in conservation village near Ullswater. Sleeps 7 with outside stone steps to old wool loft, now converted into an en-suite bedroom. Central heating throughout. Carpeted with herdwick carpet and herdwick floor rugs. Helvellyn Herdwick throws on beds. Set among the natural splendour of Wasdale, home to England’s highest mountain Scafell, deepest lake Wastwater, smallest Church St Olaf’s and biggest liar competition! 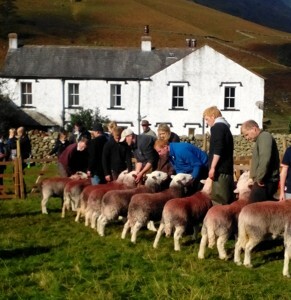 At the heart of the unspoilt Western Lake District, Yew Tree Farm is a special place. 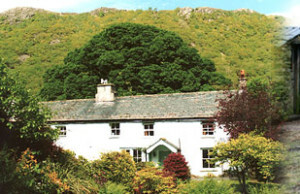 Whether you are a serious climber, bird watcher or painter or whether you just want a break from the hassle of life, Yew Tree Farm provides an ideal base for your Lakeland holiday. Nick & Tracey Gill run Stonethwaite Farm Bed and Breakfast which is situate d deep in the heart of the beautiful and renowned Borrowdale Valley. 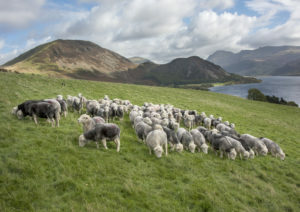 This Borrowdale bed and breakfast is on a traditional working fell farm, which has approximately 500 lowland acres and 3000 fell acres & 800 Herdwick Sheep. Dhanell Baldwin and Arthur Threlkeld run this campsite on their farm which is situated 1.5 miles south of the Visitor Centre at Grizedale. Grizedale valley itself lies between Coniston Water and Lake Windermere. A journey of four miles north takes you to the village of Hawkshead and a further 5 miles to Ambleside.Travelling south takes you to the local market town of U lverston. In addition to a campsite, pods, yurts and a bunkhouse are also available.